For millennials, it’s hard to remember a time when machines weren’t already doing the jobs of humans. After all, almost every daily activity is automated these days; we use machines to withdraw money, buy train tickets, and scan groceries. Machines even answer our queries on the phone, as well as assemble our cars. As a result, entire trades have simply disappeared, and with the advent of new technologies, from drones to self-driving cars, we may continue to see robots replace humans, be it at the frontline, or in the front seat. 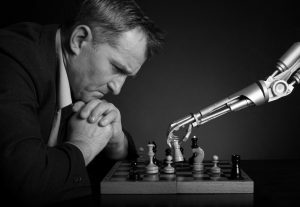 With studies that show that 47% of all U.S. jobs could be performed by machines by 2033, is it time we began to worry about the security of our own jobs? When undergoing surgery, one of the last things you would want to see is a robot preparing to anesthetize you. There are some positions in life that we as humans are reluctant to renounce to machines, as in this case the safe hands of a medical professional brings a certain peace of mind. It is, however, quite common for surgeons to use machines for low-level anesthesia, cancer diagnosis, hair transplants, and stitching; a pancreas has even been removed robotically. Of course, the doctors are in full control of any automated device carrying out the procedure but this technology opens up the opportunity for machines and robots to begin to hold a larger role in the medical and surgical industry. It may not sound like the most romantic place to stay, but in Nagasaki, Japan, you can now stay in the world’s first hotel staffed entirely by robots. The robots are so lifelike that you might be forgiven for thinking the female receptionist was real – were it not for the giant robotic dinosaur standing beside her (who deals with all English-speaking customers, of course). Bowing and smiling, she greets you in fluent Japanese and checks you in as your luggage is wheeled off to your room by a robotic bellboy. Humans have been replaced in all aspects of the hotel, except security, which is perhaps a welcome reminder that there will always be areas in which machines cannot replace humans. In 2016, electronics manufacturer Foxconn announced that 60,000 employees at a single factory in Jiangsu Province have been replaced by robots. The company, a major supplier to Apple Inc., is cutting costs to remain competitive in the region, which has recently become the electronics hub in China. While the robots cost huge sums of money upfront, they are generally perceived to be more reliable and efficient than their human counterparts in the long run. Foxconn will now be able to produce higher quantities of better quality electronics, but at a cost – tens of thousands now find themselves unemployed. A restaurant in Ningbo, China recently decided to dismiss its human serving staff and replace them with a cohort of robots. Investing in these wired waitresses was meant to reduce costs on staff salaries, but at $9,400 a pop, they came at no bargain. The robots had a vocabulary of some 40 Mandarin expressions and used an optical sensing system to navigate the restaurant floor. Unfortunately, the robots proved to be too inefficient for the fast pace of the eatery, and the restaurant has since reinstated human employees. The shoe is on the other…wheel? In recent years, several hospitals, including UCSF Medical Center, have begun replacing human pharmacists with robots that, upon receiving a prescription order, proceed to retrieve, arrange, package, and dispense the medicine. The main benefit of using robots in pharmacies is that it cuts costs. Salaries do not have to be paid, pharmacists do not have to be trained, and human error (medication errors cost billions of dollars) is eliminated. But should all pharmacists start worrying? Probably not; being a pharmacist is a job that requires compassion and direct communication, neither of which robots will be able to master in the foreseeable future. Each of these examples illustrates an unstoppable march of progress relating to the development of machines and their increased usefulness in place of human workers. A machine’s ability to do a human job is often based on a number of factors including (though not limited to) industry and environment. At CSOFT we believe in an outlook that utilizes advancements in technology, but also takes into account the qualities that only a human’s personalized focus can provide. As each example clearly illustrates, machines are useful and vital to our society but we cannot rely on them alone. 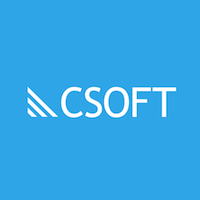 The same is true with translation, we cannot only rely on machines to handle something as delicate and complex as language, and at CSOFT, we pride ourselves on our team of dedicated translators and linguists who give our translation the human touch.